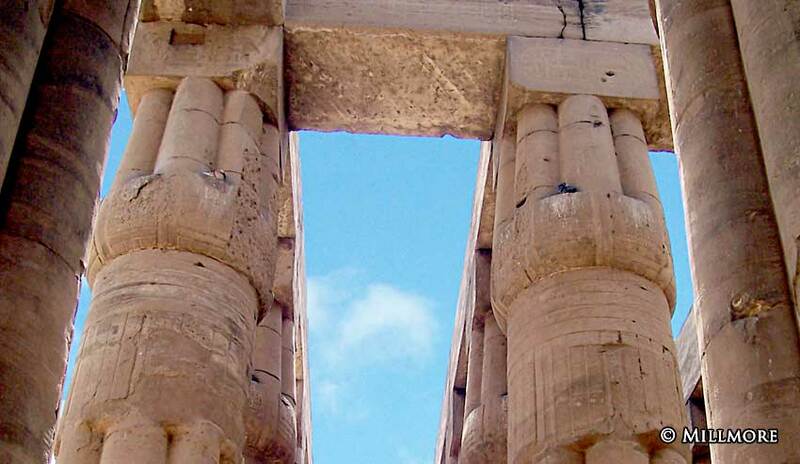 The Court of Amonhotep III measures 148 feet long (45 m) by 184 feet wide (56 m), with double rows of papyrus columns on three sides. The northern end was originally the entrance to the temple. 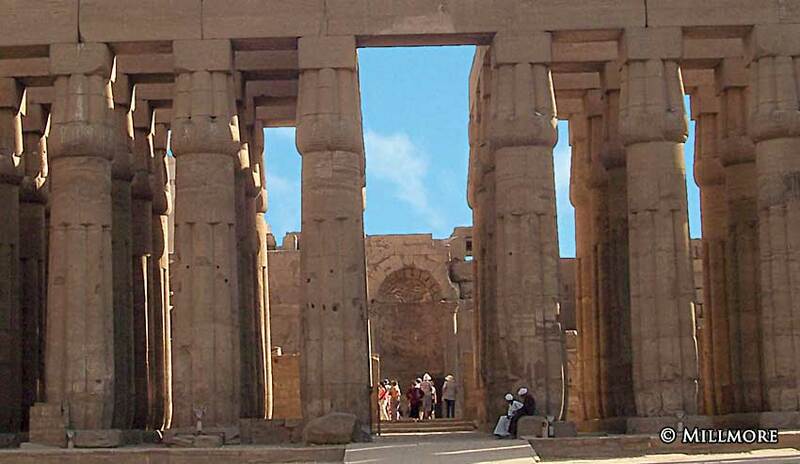 It leads into the Hypostyle Hall, which has 32 papyrus columns, arranged in four rows of eight columns. At the rear of the hall are four small rooms and an antechamber leading to the birth room, the chapel of Alexander the Great and the sanctuary. Two 80ft (25m) obelisks once stood here. One remains the other stands in Paris. 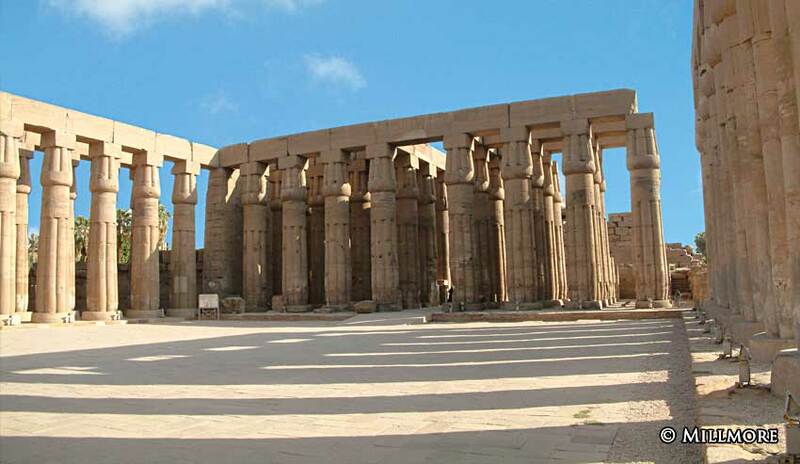 188 feet (57 m) long, 168 feet (51 m) wide and surrounded with 74 papyrus columns. 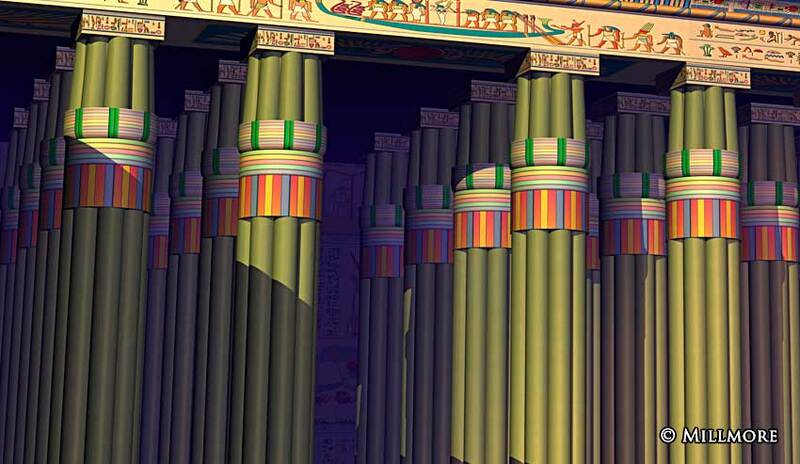 Seven pairs of 52 foot (16m) high open-flower papyrus columns. 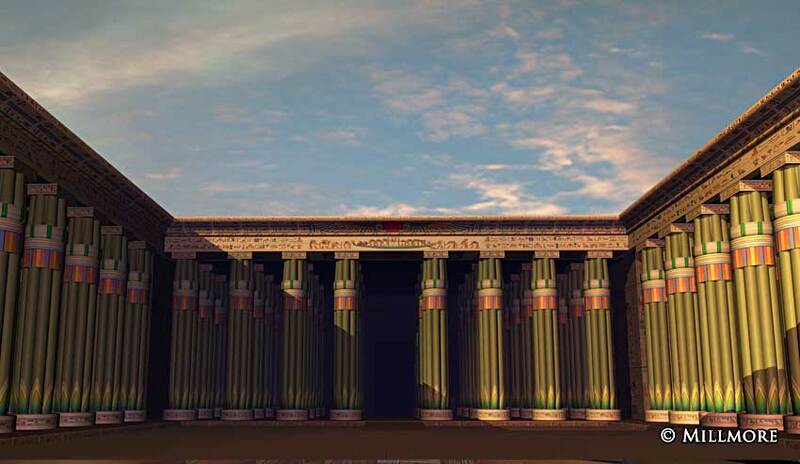 148ft long (45 m), 184ft wide (56 m), with papyrus columns on three sides.